Here are three refreshing ways you can incorporate organic microgreens into your summer cuisine! 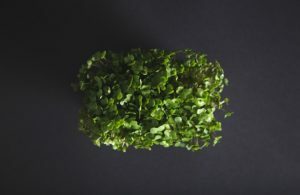 Microgreens are one of the most versatile superfoods that you can buy. When you opt for locally-grown, organic microgreens, you’re doing both yourself and your community a favor. These nutrient-packed greens can be grown hydroponically, allowing them to be available all year long. In the heat of the summer, however, these tasty little greens are especially refreshing. Here are three refreshing ways you can incorporate organic microgreens into your summer cuisine! Adding microgreens to your breakfast omelettes is such an easy way to amp up your morning fiber. If you’re someone who doesn’t reserve the regular breakfast meals for the morning, then organic microgreens will be just as good on a dinner omelettes as well! It’s a great way to make your protein-packed omelette even more savory. Add your other favorite veggies and a few sprinkles of hot sauce, and you’ve got a delicious way to start (or end) the day! Summer and burgers go together like peanut butter and jelly. The usual lettuces that you put on your burgers tend to be more packed with water than actual nutrients. With organic, locally-grown microgreens, your summer burgers will taste better and be better for your body. Not to mention, your burgers will look much more gourmet as well! You’ve seen cocktails garnished will citrus peels or fresh herbs before. This summer, why not add a superfood to every part of your meal? Organic microgreens aren’t just very good for you, but they’re beautiful as well. By adding a few microgreens to your summer cocktail, you’ll have an elegant drink that will keep you refreshed and healthy. You can find our fresh hydroponic microgreens, cultivated using pesticide and herbicide free growing methods, in national grocery store chains, produce distribution companies, roadside farm stands, CSAs, and farmers’ markets. To learn more about our innovative cold-chain process and ordering our fresh local produce, click here. Our excellent sustainably grown hydroponics speak for themselves, and we know your taste buds will love to listen! This entry was posted on Thursday, July 19th, 2018 at 4:31 pm. Both comments and pings are currently closed.